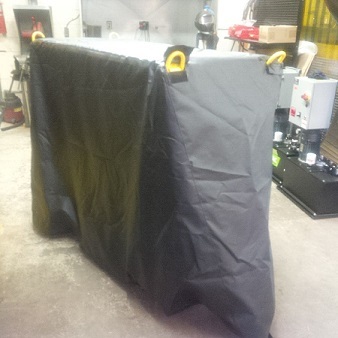 We make custom tarpaulin covers for all kinds of equipment and machinery. You can choose from medium duty 10oz material or 18oz heavy duty material in several colours. Contact us at info@outdoorcovers.ca for a quote.